Are you considering dropping cable and starting to pay for individual channels c/o Amazon Prime? if you calculate the numbers you might be surprised by how smart this decision could be for you and your household. Amazon Prime: $99 /year [or $5.99 /month for qualifying customers in select U.S. government assistance programs such as holders of the EBT card] includes free two-day shipping and prime reading for your kindle too! plus numerous other offers. Not convinced if Prime is for you? Try their 30 day free trial! $6.99/month after your free trial! Worth the price to watch the amazing Poirot that is no longer available on Netflix. $14.99/month after your free trial including the addictive Big Little Lies. $8.99/month after your free trial. My only conflict is that many of the classic Showtime shows are already available as part of Amazon Prime. So it depends on what shows you're keen to watch. 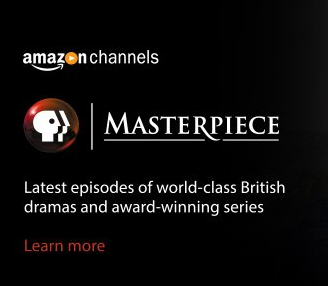 $5.99/month after your free trial including the fabulous Endeavor (the first 4 seasons are all available via Prime) and Victoria (Season 1 is on Prime). If you love to watch those addictive Lifetime Movie films, it's only $3.99 a month after your free trial!! Consider that most of the films on Amazon are $4.99 the price is a great deal. Even LMN on demand (cable) does not include all these great films. Great Courses is a great (!!) buy. 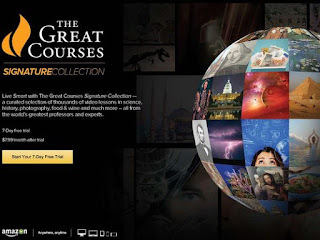 For $7.99 a month (after your free trial) you can watch as many of the Great Courses on Amazon Video that would otherwise cost you over one hundred dollars for some of the most popular courses! And remember! You don't have to make a 12 month contract with any of these channels and can cancel them whenever you want and restart just as quickly (often without the free trial). And the Prime Membership includes so much more than just Prime Video.